Levon Helm was an American singer, musician and actor, best known for his role as drummer for The Band. Levon Helm was born in rural Arkansas in 1940, and grew up surrounded by blues, country and R&B music. He made the decision to become a musician after seeing bluegrass pioneer Bill Monrow perform, and subsequently took up both guitar and drums - he was playing in local bars and clubs by the time he was 17 years old. After graduating high school he became the drummer for The Hawks, the backing group of rockabilly artist Ronnie Hawkins. With Hawkins he made the move to Toronto, Canada, where southern rockabilly acts were very popular at the time. He stayed with Hawkins for many years, as his mentor recruited a number of young Canadian musicians into the band, which eventually led to the line-up of Helm, guitarist Robbie Robertson, bassist Rick Danko, pianist Richard Manuel and organist Garth Hudson. In 1963 the group parted ways with Hawkins, and toured across both the USA and Canada. In 1965 they became the unlikely backing band of Bob Dylan following his move into electric rock music, and they embarked on a world tour with him. However before long Helm had left, disheartened by the negative reaction Dylan's new music was getting. He returned to Arkansas for a couple of years, but eventually reunited with his bandmates in Woodstock in 1967, where they began to hone a unique new fusion of American roots music styles. Reinvented as The Band, they were signed to Capitol Records, and their debut album Music From Big Pink was a huge hit with the critics. The Band released seven studio albums between 1968 and 1977, with Helm's distinctive southern vocals a vital ingredient in their sound. Though Danko and Manuel were gifted vocalists as well, Helm got to sing lead on their best-known songs - "The Weight", "The Night They Drove Old Dixie Down" and "Up On Cripple Creek". His unique drumming style was another key ingredient, and it earned him much praise. He also contributed mandolin and guitar. 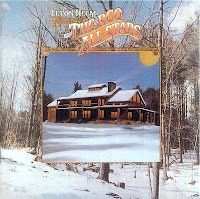 The Band broke up in 1976, and Helm started work on a solo album. It saw release the next year as Levon Helm & The RCO All-Stars, and featured appearances from Paul Butterfield, Dr John, Booker T & The MGs and Fred Carter Jr. Robertson and Hudson also guested on one song. 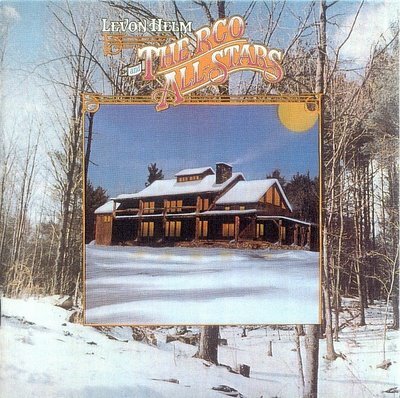 It was certainly nothing ground-breaking or a new, but it was a good album, in a bluesy roots-rock style with definite echoes of The Band (indeed the one song to feature both Robertson and Hudson practically was The Band). The songs were mostly covers, and included numbers by Dr John, Earl King and Chuck Berry. Nice to see one of the RCO albums upped. By any chance do you have the first 2 Wayne Talbert LPs that you could upload? I found Houston Nickel Kicks, but could not seem to find either of these from 1969 on Pulsar. Here's a brief history. I could dropbox you Houston Nickel Kicks if you like. does anyone know what RCO stands for in this group's name?? Just curious, tried to look up but could not find this acronym's meaning. Bellissimo, as usual in this blog... Grazie! Just a feel good album, probably one of my favorite 'solo' outings from Band members. INSPIRED CAPITAL PLC - We are a direct mandates to providers of Bank Guarantee, SBLC, MT109, MT799, MT760, Loans, Sale and Lease of Instruments, discounting and project funding. In addition, we have an excellent professional relationship with many banks, stock brokers, financial institutions and consultants all over the globe. We have a proven track record of Excellence, Speed and Reliability. Our providers are very reliable and we offer best rates. If you need Low interest Loans we are the partners for you. Beautiful place, Amazing guide thanks for sharing this travel guide with us, we are also providing Same Day Taj Mahal Tour By Car tour package in the budget.